"E" Bonds grow into more money! cushion against lower farm profits. dential by the Treasury Department. dise Mart, Chicago 54, Illinois. Sears, use convenient order blank at right. Roebuck and Co., Dept. 169. 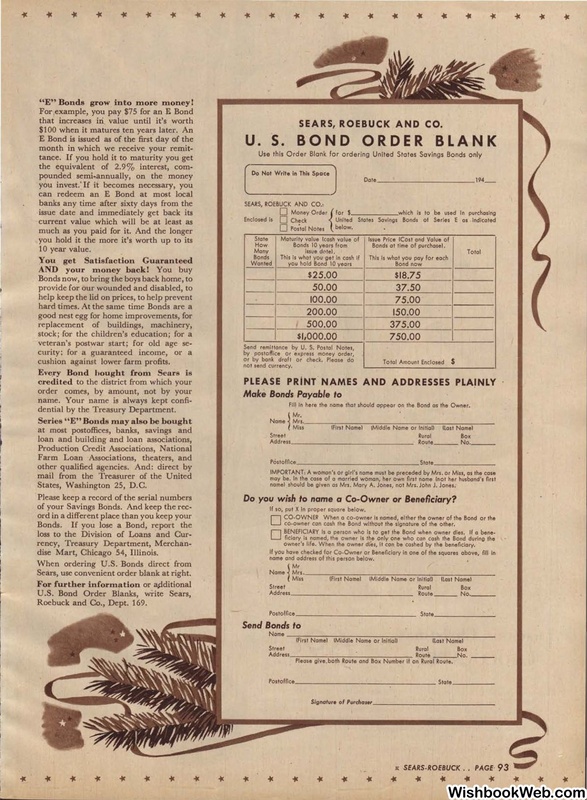 Bonds at time of purchase!. Fill In here the name that should appear on the Bond as the Owner. co-owner con cash the Bond without the signature of the other. BENEFICIARY Is a person who is to get the Bond when owner dies. con be cashed by the beneficiary. name and address of this person below.